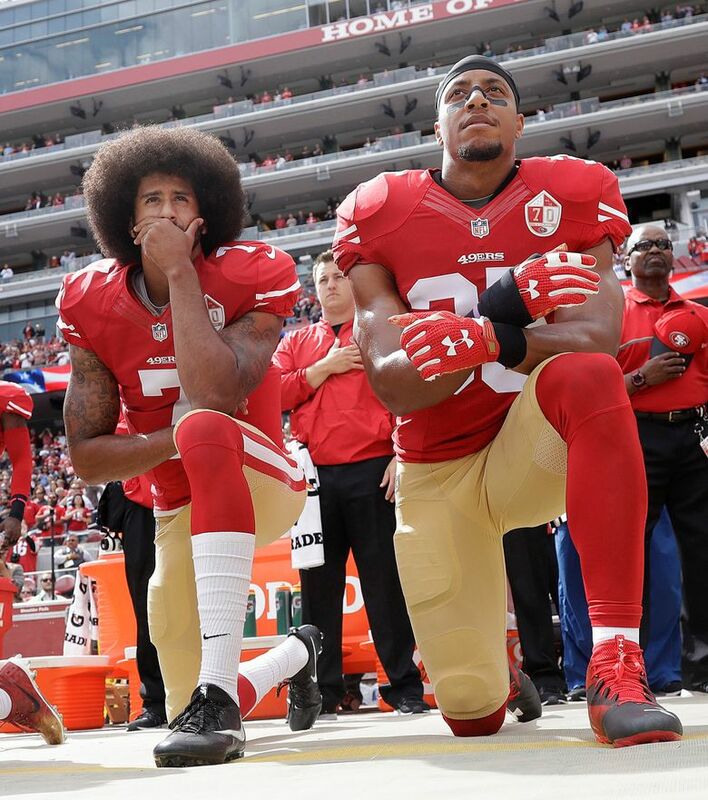 The former 49ers QB is attempting to show teams are not signing him due to his protest of social injustice and police brutality. Seahawks coach Pete Carroll and general manager John Schneider were questioned by lawyers for former 49ers quarterback Colin Kaepernick this week as part of his collusion grievance against the NFL, according to multiple reports Thursday afternoon, including from ESPN. As Pro Football Talk reported, Kaepernick’s lawyer, Ben Meiselas, also revealed the questioning via Twitter. Kaepernick and his lawyers have also been reported by Pro Football Talk to have questioned Texans owner Bob McNair, Cowboys owner Jerry Jones, Ravens coach John Harbaugh and general manager Ozzie Newsome and commissioner Roger Goodell as he seeks to prove that he has not signed with any NFL since the end of the 2016 season due to the fact he sat and then kneeled during the national anthem as a protest against police brutality and social injustice. Kaepernick was the first NFL player to begin sitting and then kneeling for the anthem, a stance later repeated by other players, including former Seahawks defensive lineman Michael Bennett. The Seahawks’ depositions figured to be especially interesting since Seattle is the only team to have brought Kaepernick in for a visit since he became a free agent following the 2016 season — doing so last May. The Seahawks also had initially approached Kaepernick about coming to Seattle for another visit this spring following the release of Trevone Boykin after he was accused of assaulting his girlfiend. But the Seahawks then postponed the visit when Kaepernick would not say if he would stand for the anthem if he were to be signed by the Seahawks. Carroll and Schneider have each said since then that they would leave the door open for Kaepernick to play for the Seahawks. But Seattle now has four quarterbacks on its roster, having signed or drafted three in the last two months since the release of Boykin — Austin Davis, who was the backup a year ago, Stephen Morris, a free agent, and Alex McGough, drafted by the Seahawks in the seventh round last month — and would seem at this point unlikely to be interested in Kaepernick. Schneider said in April he couldn’t say whether the team asked Kaepernick if he would stand for the anthem.